Fat fasting is a great way to boost your weight loss results and ketone levels. 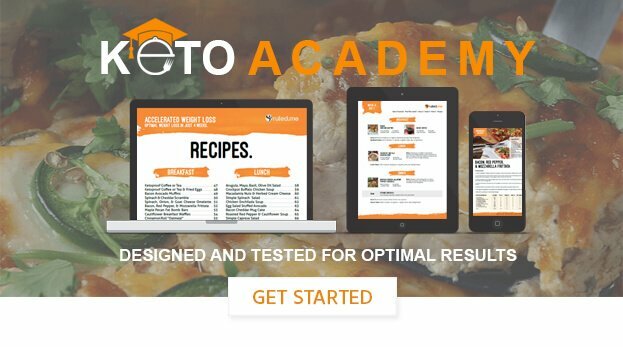 To implement a fat fast properly, you will need to eat between 1000 and 1200 calories a day, where between 80% and 90% of your calories come from fat. Break these 1000-1200 calories into 4 or 5 meals a day, eating in blocks of 200-250 calories per meal. Make sure you only do a fat fast for 2-4 days. If you extend the fast for any longer than 4 days, then you run the risk of metabolizing your muscle mass for energy and decreasing your metabolic rate (i.e., you will burn fewer calories and lose less weight in the long run). For these reasons, we recommend doing a three-day fat fast. This normally drops about 5-8 pounds of body fat and water weight. If this sounds like something you want to try for yourself, read through our guide to the fat fasting technique. If you’d like to learn about other weight loss plateau busting strategies, click here.